Wayne County was established in 1819 and was named for General “Mad” Anthony Wayne of the Revolutionary War. Waynesboro serves as the county seat. During the nineteenth century, another town known as Clifton had a river that served as an important commercial location for shipping and receiving goods. 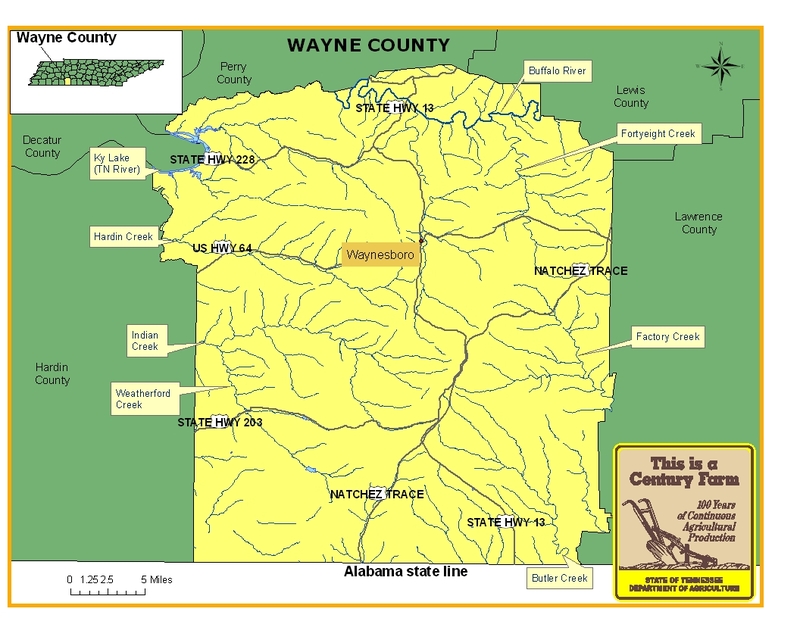 For more information regarding Wayne County, please go to the Tennessee Encyclopedia of History & Culture website.